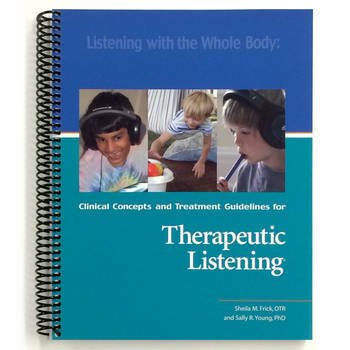 In this initial, online training course, participants will learn to use Therapeutic Listening® modulated audio selections to create individualized, home-based programs for clients. You will also learn how to implement Therapeutic Listening strategies in conjunction with postural, respiratory and sensory activities. This course will take participants from client assessment through treatment with a strong emphasis on practical application using multiple case-studies. Case-study video presentations will be used to illustrate points and show changes in individuals with listening and other sensory processing difficulties. Practitioners who have a background in sensory integration, including therapists in schools, hospitals and private clinics will find this webinar especially meaningful. Take an additional discount of $20 per participant for groups of 3 or more individuals enrolling simultaneously. Check-in begins at 4:30pm CST on day two & three. Test begins at approx. 8:00pm CST on day three. >>If registering after 5:00pm CST on Friday, December 7th, Course Instructions will be emailed after the check-in period begins on Sunday, December 9th. Thank you & we look forward to having you with us! An international shipping fee of $50.95 applies for books shipped to an address outside of the United States.